Proponents and critics weighed in Wednesday on a bill that would allow the sale of raw milk at farmer’s markets and other sites like fairs and flea markets. State Rep. Dan Flynn, R-Canton, said that legislation he authored to expand options for selling unpasteurized milk in Texas quickly received praise from across the state. Flynn's legislation, House Bill 46, would allow the sale of raw milk at farmers markets and other sites like fairs and flea markets. And while many testified Wednesday in support of his measure at a House Public Health Committee hearing, a few raised concerns about regulation and health risks. Currently, farmers who produce unpasteurized milk can only sell it at the site of the dairy. That means customers of the state’s 49 licensed farms that produce raw milk have to drive to the farms, which may be several hours away. Robert Hutchins, whose family owns Rehoboth Ranch in Greenville, sell beef and other products at farmers markets every week but can only sell their raw goat milk at the Greenville property, he said. There could be costs associated if an increased number of farms seek licenses to sell raw milk, said Dan McCreary, who manages the Milk Group for the Department of State Health Services. For example, the department might need to hire more inspectors to oversee farms and could face increased lab testing costs. He spoke to offer information and did not support or object to the measure. Critics of the bill said Wednesday that only 1 percent to 3 percent of Americans consume raw milk and that unpasteurized milk can pose a health risk. They added that unclear language about regulation could raise confusion about where the milk can be sold and how it should be labeled. The Centers for Disease Control and Prevention has tied raw milk consumption to bacterial illnesses like E. coli and listeria. Edward Sherwood of the Texas Medical Association and the Texas Pediatric Society said any raw milk legislation would require clear labeling and a more educated public to make the product safe to sell, especially for consumption by children. 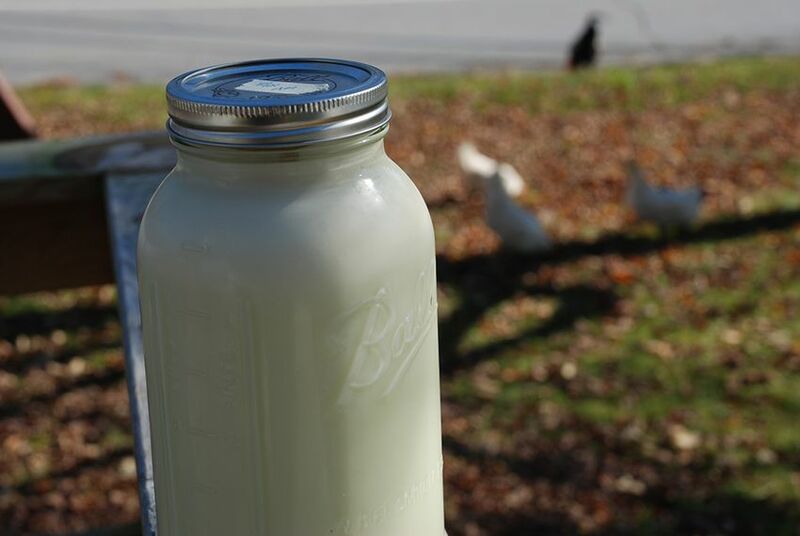 “We’re not worried about the people you’ve heard from today because they’ve gone to great lengths to educate themselves about health and health risks,” Sherwood said, noting that most Texans don’t know much about raw milk. But San Antonio dietitian Anna Macnak said she frequently encourages people to try raw milk to solve physical ailments. The freshness and natural state of raw milk make it a great choice, and the benefits outweigh the health risks for many Texans, she said. "If you put something in your mouth, there’s a risk you could be come ill," Macnak said. "But that’s not necessarily a reason to restrict access to fresh food." Flynn said he expects state Sen. Bob Deuell, R-Greenville, to file a raw milk bill in the Senate. Deuell filed the bill in the 2011 session but it did not get a committee hearing. The bill remains pending before the House Public Health Committee.